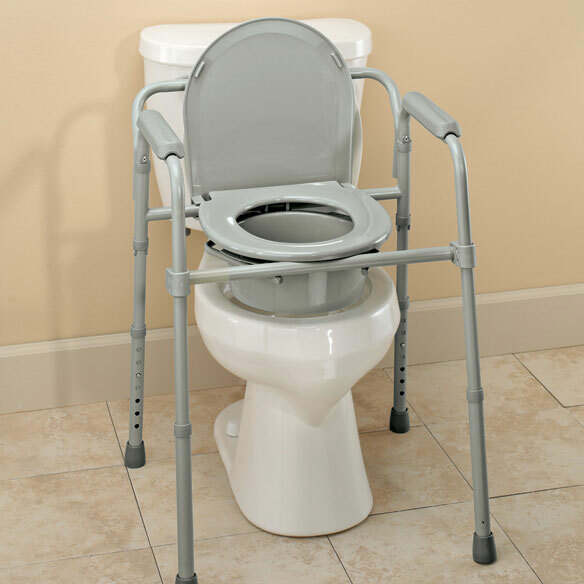 Bariatric folding commode can be used over the toilet as a raised seat or safety frame. 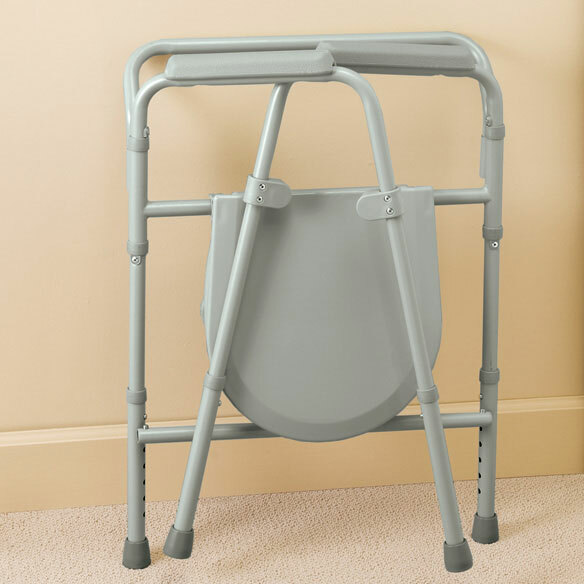 This bariatric bedside commode is a sturdy but lightweight unit that features armrests, slip-resistant legs, elongated 13 1/2" wide seat/lid, removable bucket, cover, splash guard and custom height adjustment from 16 1/2" - 22 1/2". Tool-free assembly. Bariatric commode supports up to 650 lbs. Measures 24" between arms. 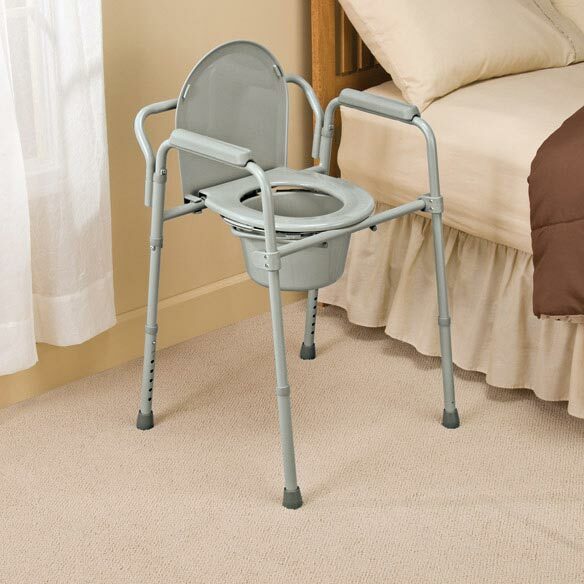 I use the commode over the toilet and like the stability and convenience. I travel a few times a year and need to take the commode with me. A folding one will provide more room in car. I have had a pill organizer for a number of years. I need a new one. I find it useful to prepare my required pills in advance; it saves time in the morning and lets me notify pharmacist early enough to have medicine before it has run out. This was recommended by our visiting RN, and it is perfect! does the bucket have a handle? BEST ANSWER: Thank you for your question. No, the bucket does not have a handle. We hope this information will be of help to you. What is the range of armrest heights on the Bariatric Folding Commode? BEST ANSWER: Thank you for your question. From the seat to the top of the arms it is 9". We hope this information will be of help to you. What are the outside dimensions of the Bariatric commode? BEST ANSWER: Thank you for your question. It is 31.75 inches wide on the outside. We hope this information will be of help to you. is the seat soft or hard? BEST ANSWER: Thank you for your question. The seat is a hard plastic. We hope this information will be of help to you. Does the picture of the seat open and over the toilet show the splash guard? BEST ANSWER: Thank you for your question. No, the splash gaurd is not pictured. We hope this information will be of help to you.